At Simon Says Stamp simonsaysstampschallenge.blogspot.com there is a challenge with black and white and a splash of colour. Here's my card for the challenge. 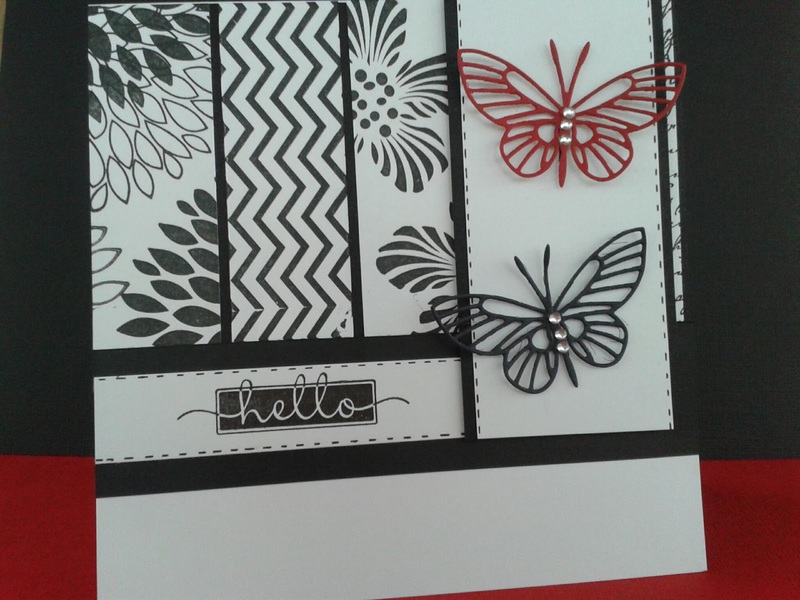 I have used some Hero Arts stamps for the background and a Memory Box die for the butterflies.